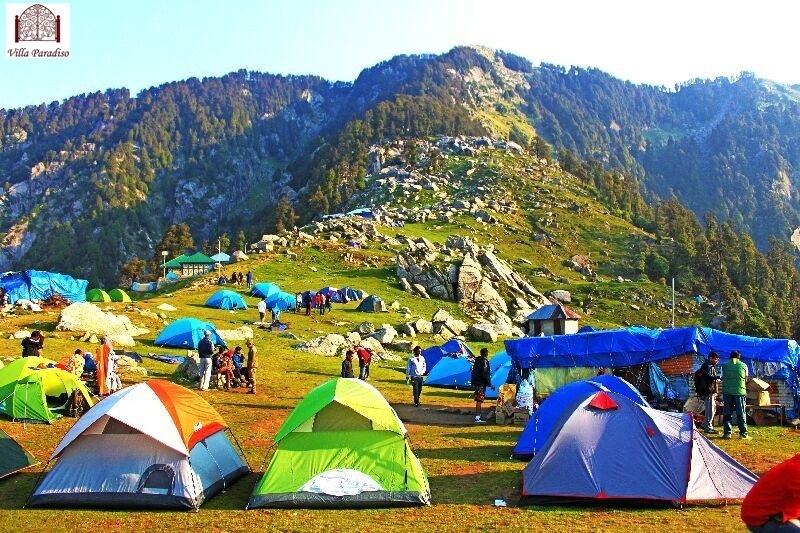 Triund trek starts in the famous hill station of Mcleodganj Himachal Pradesh. Triund trek offers perfect view of the Dhauladhar mountains on one side and Kangra valley on the other. Dharamshala has emerged as one of the top weekend getaways from Delhi for all the right reasons. There are myriad of top things to do in Dharamshala that engage travelers regardless of their age. Youngsters love to pitch their own tents and stargaze, while the older people find peace and spirituality touring the colorful monasteries and temples. The scenic grandeur of Dharamshala allures couples, families, and group of friends for a quick, or even extended stay. Paragliding, trekking, and a lot more will keep your holiday in Dharamshala in full swing. Plus there are a number of exciting things to do nearby as well. The list below explores the best activities, both in and around Dharamshala. Dharamshala, famous world over for being home to the exiled spiritual leader of Tibet, the Dalai Lama, is a place of stunning natural beauty, Located in Dharamshala. Hello our valued visitor, We are Happy to make a call. Please provide us your basic details. Potala Road (Old Jogiwara Rd), Mcleodganj, Dharamsala, District Kangra, Pin Code - 176219, Himachal Pradesh, India.